Team Puerto Rico has continued its efforts in making a difference by partnering with Kentucky-based 501c3 charity, Global Disaster Outreach. The very foundation of MXoN’s 2018 Team Puerto Rico was based off of the riders’ desire to help raise funds and provide some relief for the Puerto Rican people who very much still need our support following Hurricane Maria. Pastrana is no stranger to giving back, especially within the moto industry. 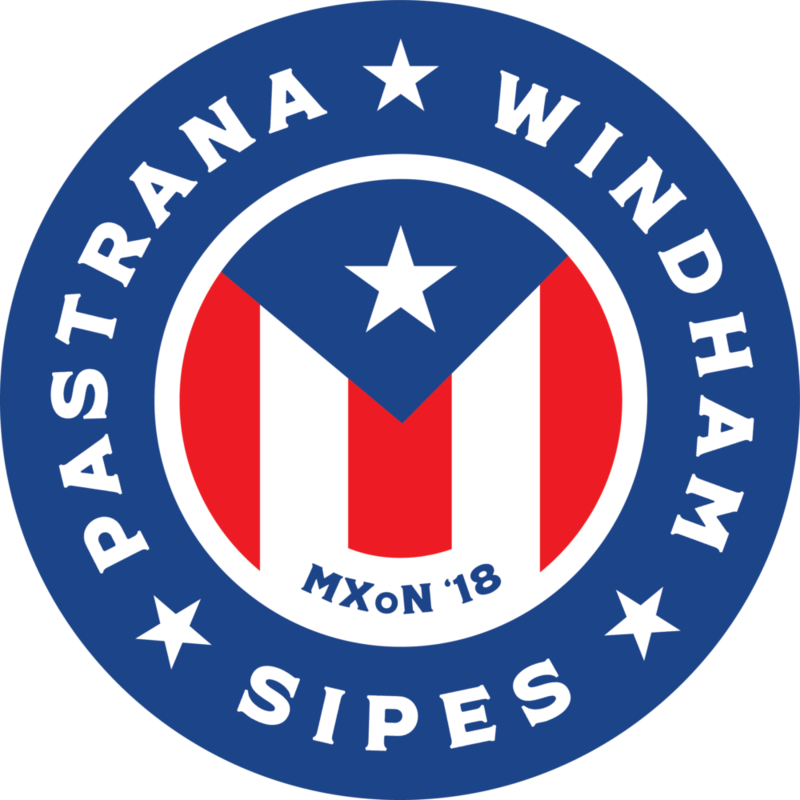 Now backed by this superstar team that includes Kevin Windham, Ryan Sipes, Coach Ricky Johnson, and countless fans, Pastrana and company are in position to help the island community of Puerto Rico. Since the announcement of the seemingly fictitious yet star-studded team, there has been an overwhelming amount of interest and excitement surrounding them and their mission to give back to Puerto Rico. The team held off on announcing where the support would be sent to ensure it would be used to the best effect and make the most impact on the local community. Team Puerto Rico needed to find the perfect partner. Enter Global Disaster Outreach, the ideal charity for Team Puerto Rico. Just weeks after Hurricane Maria devastated Puerto Rico, Global Disaster Outreach Founder and Director Ryan Lane was so moved by the devastating images of the countless people in need, he enlisted help from three of his friends, including current GDO Vice President, Milton Santos whose family was directly affected by Maria. They opened their checkbooks, loaded up their tools, and headed south to Puerto Rico intent on helping Milton’s family and lending a hand in any way they could. This December, Lane and Global Disaster Outreach will lead Pastrana, Windham, Sipes and Johnson on a mission to Puerto Rico to put the funds raised to good use. Team Puerto Rico will be announcing other fund-raising initiatives and ways for fans to get involved in the near future. Team Puerto Rico is continuing to sell merchandise with all profits going directly to Global Disaster Outreach. To buy team Puerto Rico gear, head to www.teampuertorico2018.com. Sponsorship opportunities are also available. If interested, please contact info@nitrocircus.com with Subject heading, To Dov Ribnick – Team PR Sponsorship.